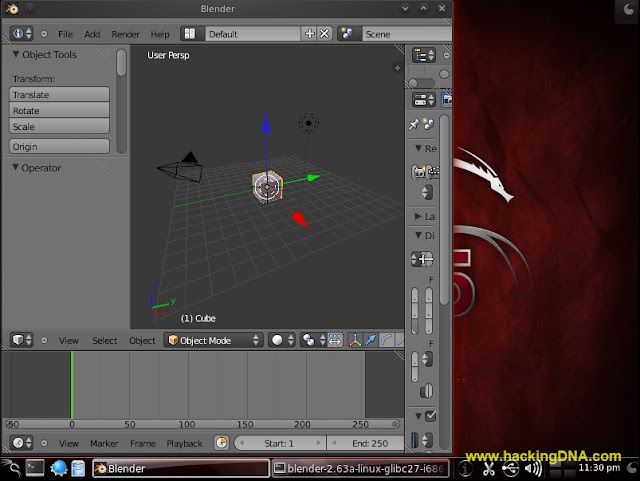 Download your Blender for Linux and save it on Backtrack 5 .
blender-2.6a-linux-glibc27-i686.tar.bz2 is the compressed file . 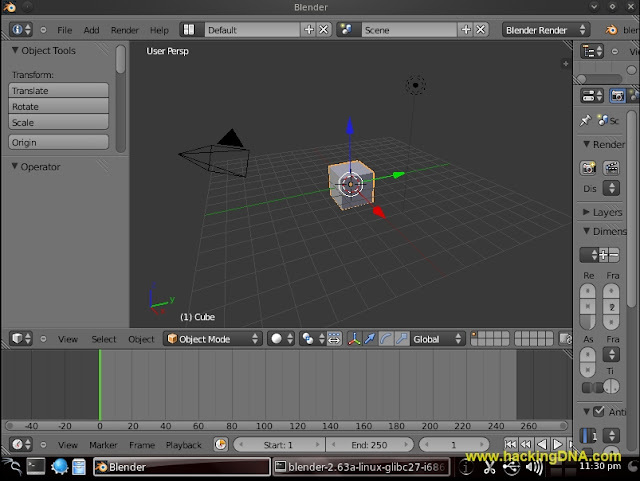 As you hit enter key , its start uncompressing the files . Once your processing complete , then use ls command to view directory again . Here it is now a new folder is created . 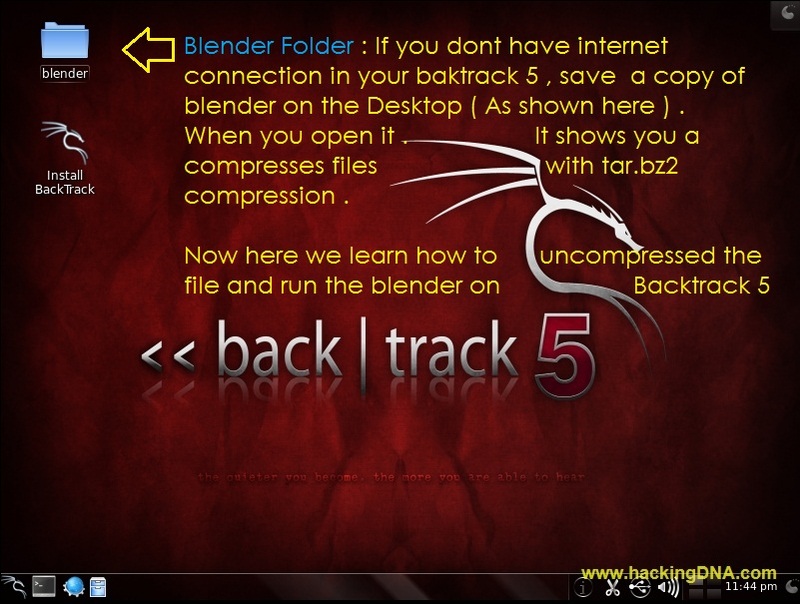 Your files is uncompressed successfully . 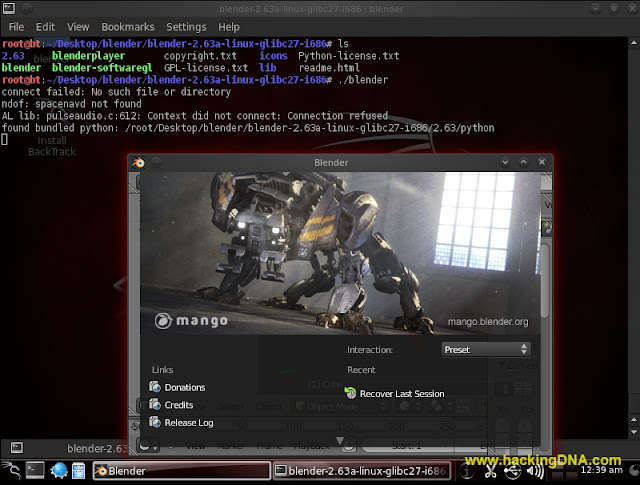 Use cd command to change the directory . When you inside the blender-2.6a-linux-glibc27-i686 folder use ls command to view all the blender files . 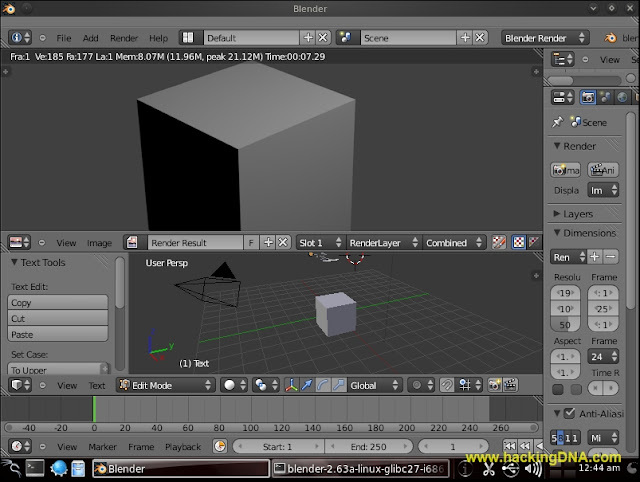 To run blender , use the command . 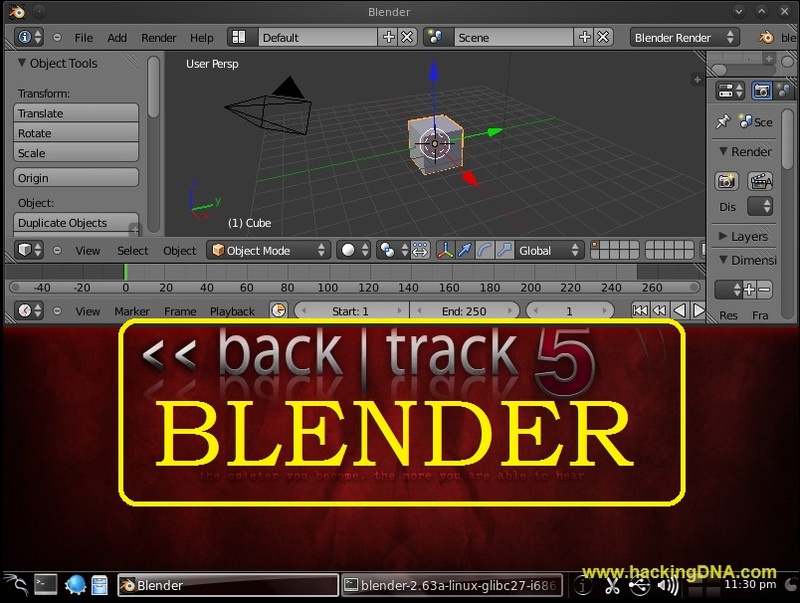 Your blender run successfully in Backtrack 5 . Enjoy !!! I hope you guys enjoy this tutorial .